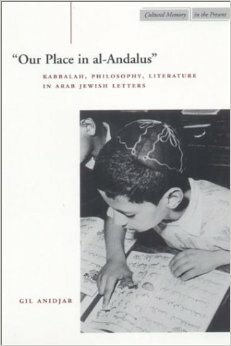 Gil Anidjar: “Our Place in al-Andalus”: Kabbalah, Philosophy, Literature in Arab Jewish Letters (Stanford University Press). The great works of medieval Jewish “Spain” (to use the area's retrospective designation) happen between languages (Arabic, Aramaic, Hebrew), between genres, between religions, and between eras (as many of them gained a further life through their twentieth-century readers). Anidjar’s book brings to light the translated quality of this writing. 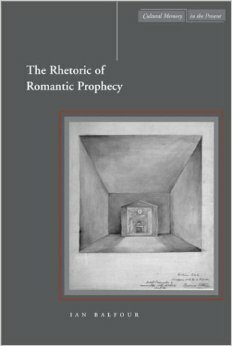 Ian Balfour’s The Rhetoric of Romantic Prophecy (Stanford University Press, 2002) brings to literary historythe skills of close reading and a keenly philosophical consciousness. 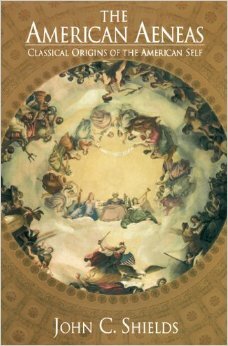 This study establishes the defining role of prophetic writing within the literary period that has done so much to define our critical modernity, and, in so doing, brings that period back to a reconsideration of its essential roots. John C. Shields, in The American Aeneas: Classical Origins of the American Self (University of Tennessee Press, 2001), juxtaposes the mythography of the American Adam to a complementary (and heretofore occluded) tradition, which he refers to under the sign of the American Aeneas. This study breaks out of the “errand into the wilderness” model of early American literature, and thus recontextualizes and amplifies the comparative study of American literature up to the present.